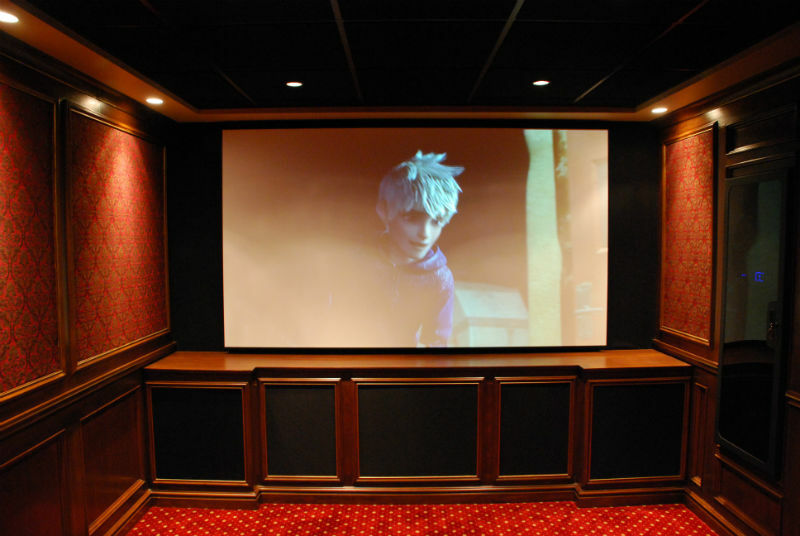 This dedicated home theater project started with a completely unfinished basement that was used for storage. 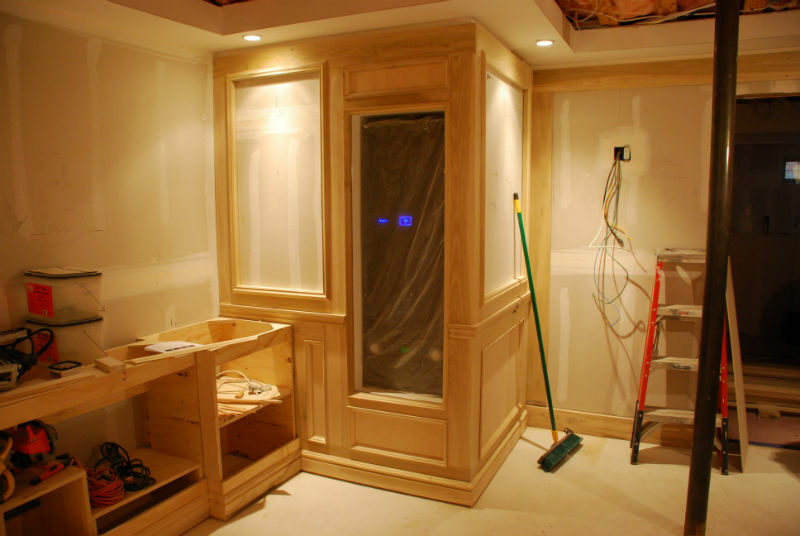 One closet existed that stored the homeowners existing home music system. 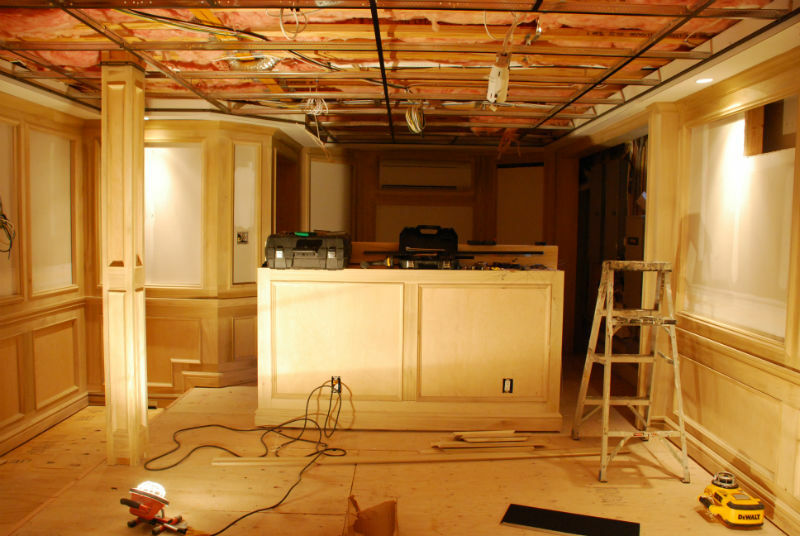 Some of the challenges that we faced included that room was oddly shaped with a curved wall in the back of room. 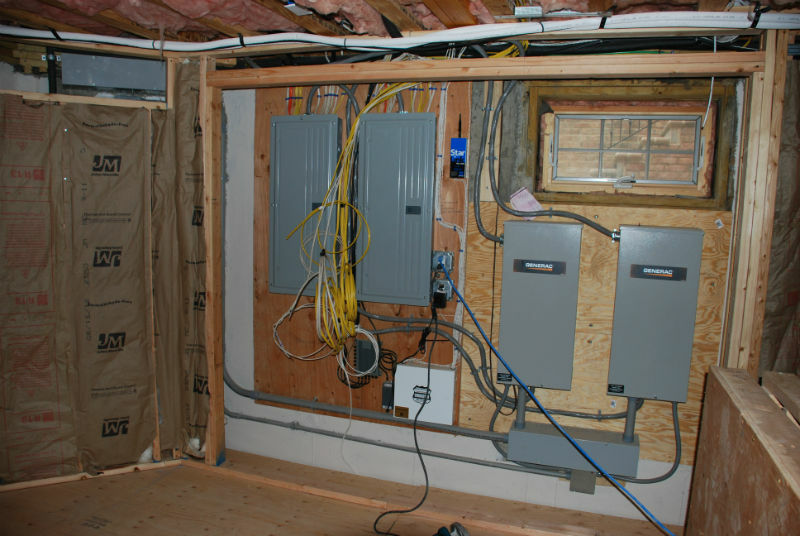 We had to provide easy access to the electrical utilities and circuit breaker panels. 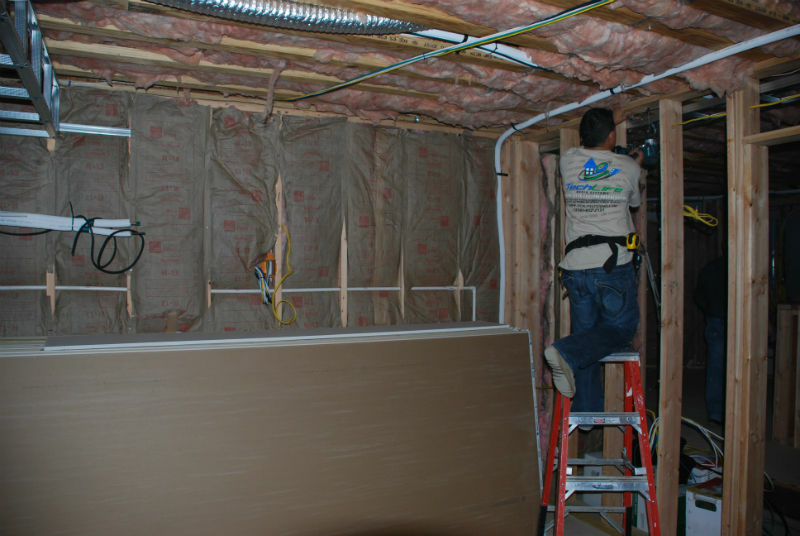 The homeowner also needed access to various plumbing locations. The family of five love spending time watching movies together. They also love sports and entertain in the room as well. From the pictures you can see that the end results are amazing. 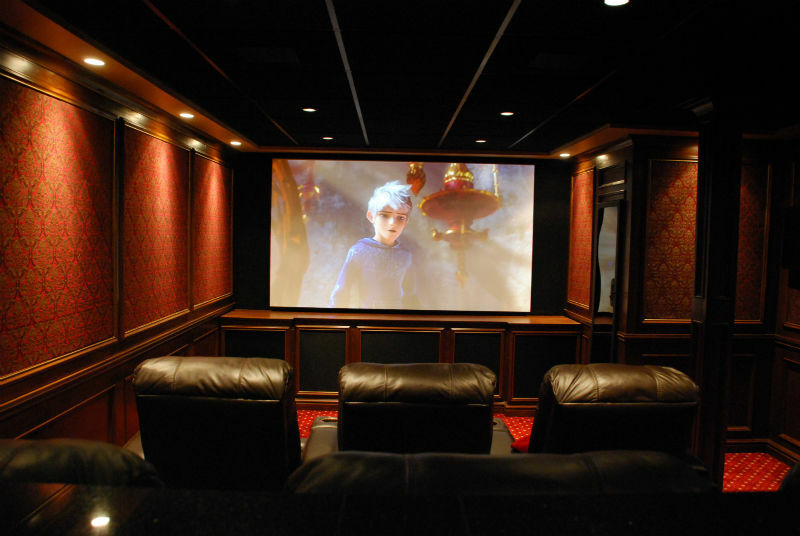 The family thoroughly enjoys the home theater experience we were able to provide them with. JBL Synthesis LS series speakers are discreetly hidden in the cabinetry below the screen. 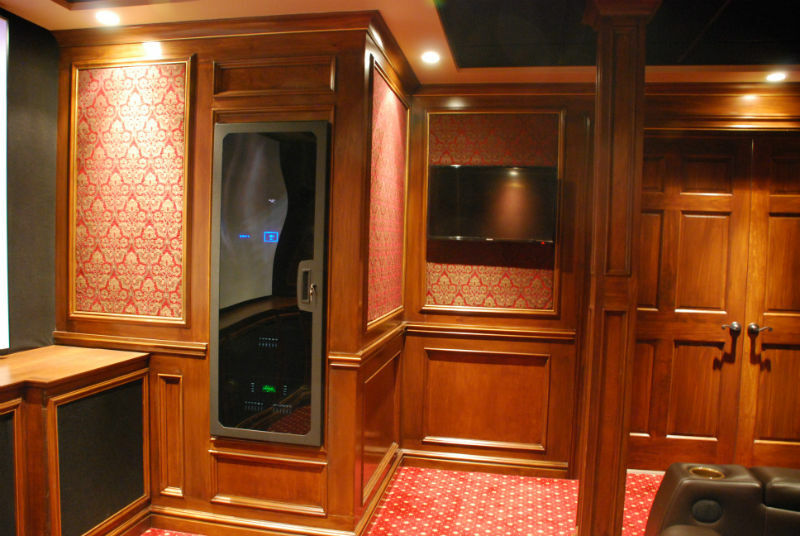 No theater is complete without a lighting control system that enhances the overall home theater experience. Handheld color touchscreen remote control puts the homeowner in command of all the audio/video and lighting features. Two additional flat panel screens provides for multiple sports programs that can be viewed at any time. 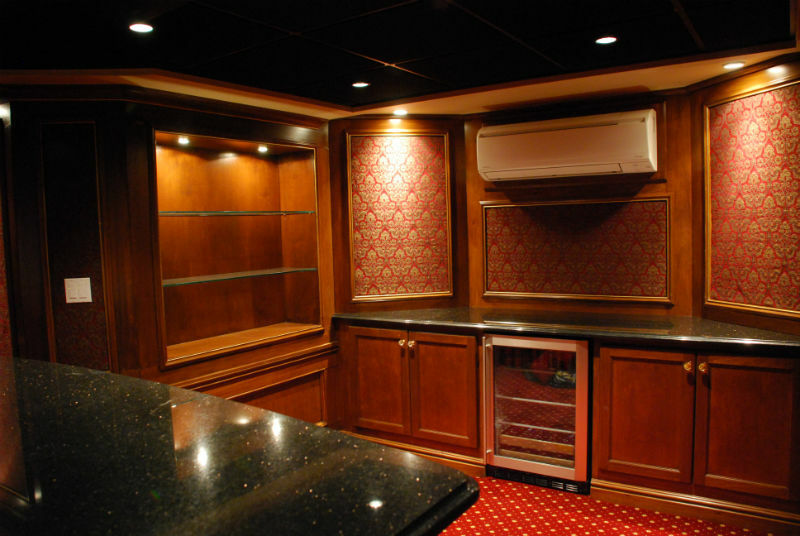 Full acoustical sound treatments and acoustical ceiling tiles help to reduce the sound transfer to other rooms. 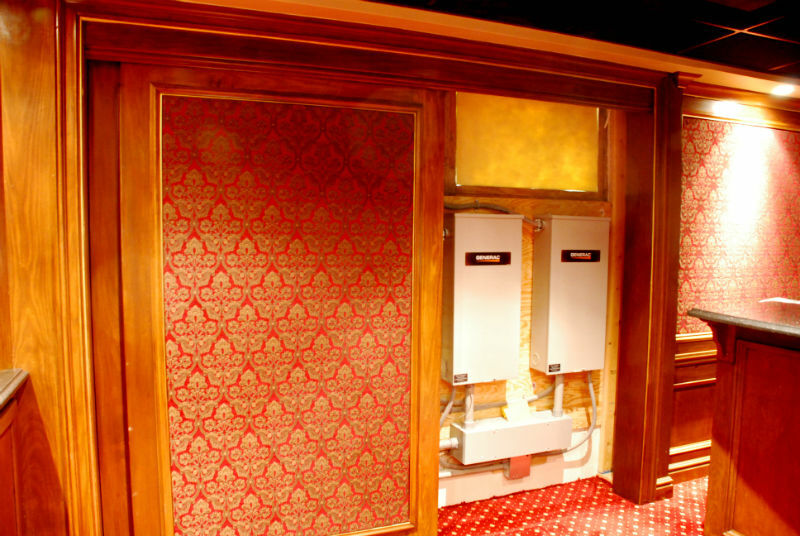 Sliding doors provide easy access to the hidden electrical utilities and plumbing.